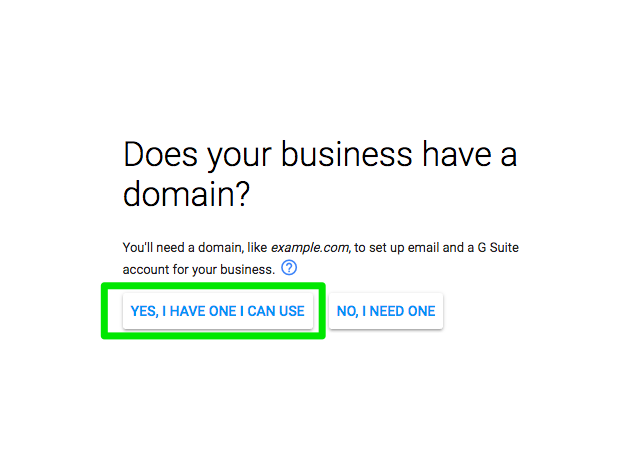 Google G Suite offers an exceptional email hosting service so that you can personalise emails to your own domain names. 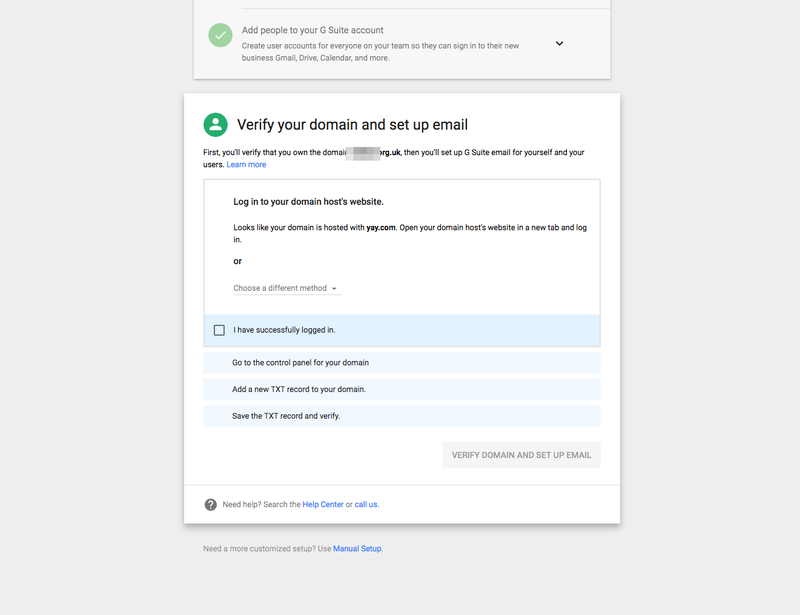 The set up is very intuitive, and we've included a step-by-step guide on how to register a G Suite email address with your Yay.com hosted domain. Now it's time to go to G Suite and create an account. 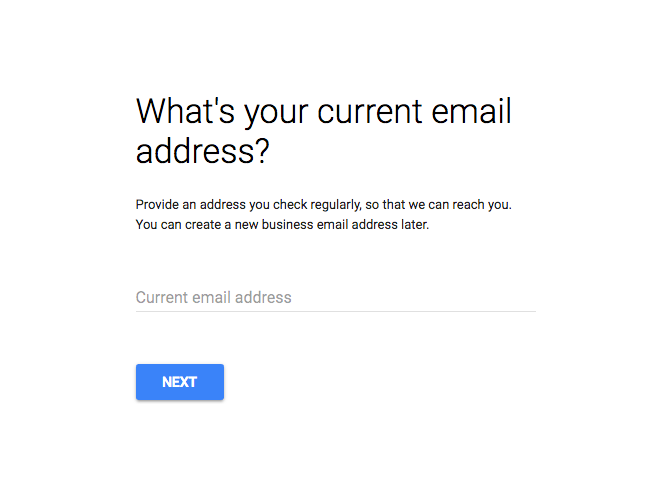 The first thing they'll ask for is your current email address. This is not the one that you want to set up, but rather a current generic email. They'll also ask if your business has a domain. Answer yes, I have one I can use. 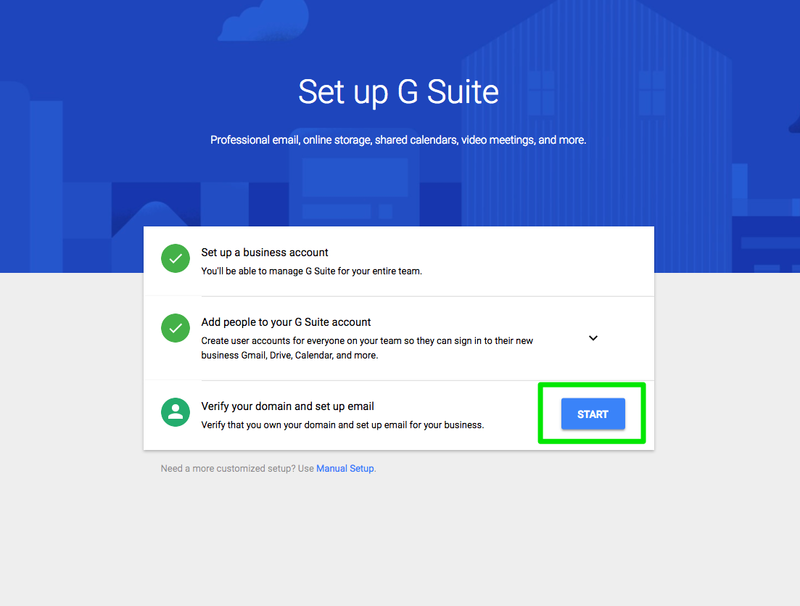 Finally, set up your account details for how you'll sign into G Suite. You'll be redirected to the set-up page for your new account. Once you've chosen if you'd like to add anyone else to your account, you'll be able to proceed to verifying your domain and setting up your email. 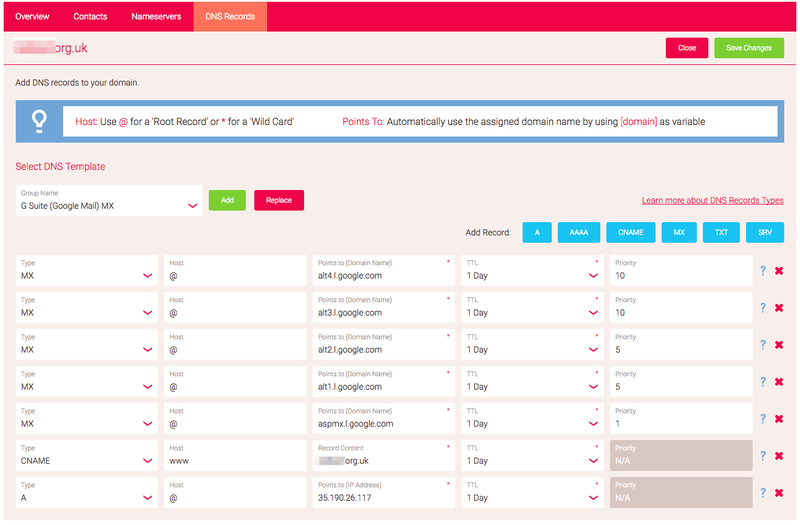 From the options presented, select Add a domain host record (TXT or CNAME). 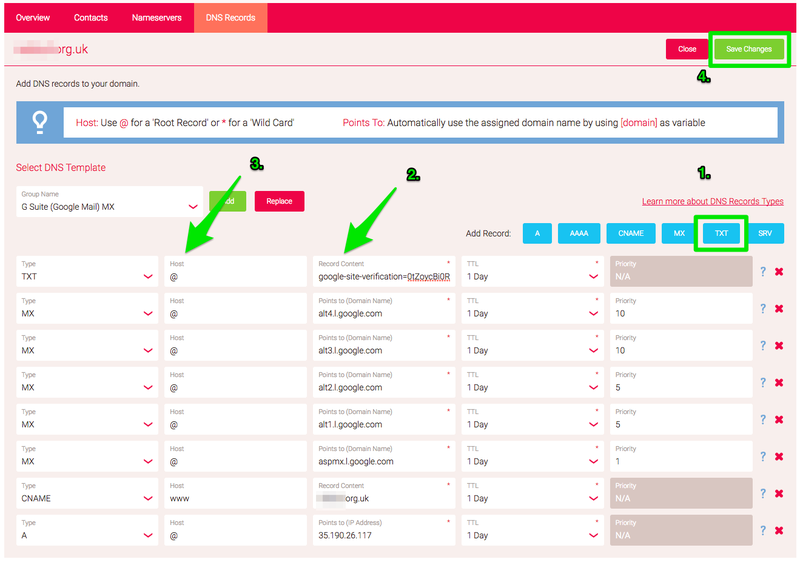 After this you'll be asked to visit Yay.com and navigate back to the DNS records page we looked at earlier on. Let Google know that you've successfully logged on. Follow the steps as Google gives them until you come to a TXT record. Copy and paste the TXT record given. 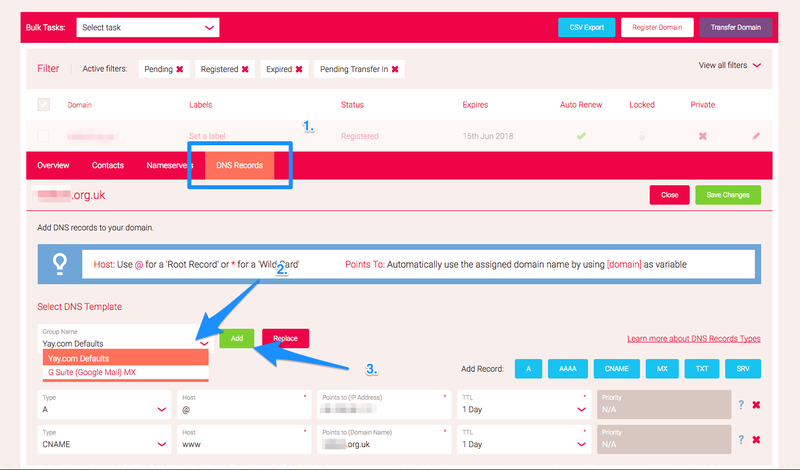 Go to the DNS Record page in Yay.com and click the TXT button, paste the record into "Record Content", "@" into Host (or leave blank), and save changes. 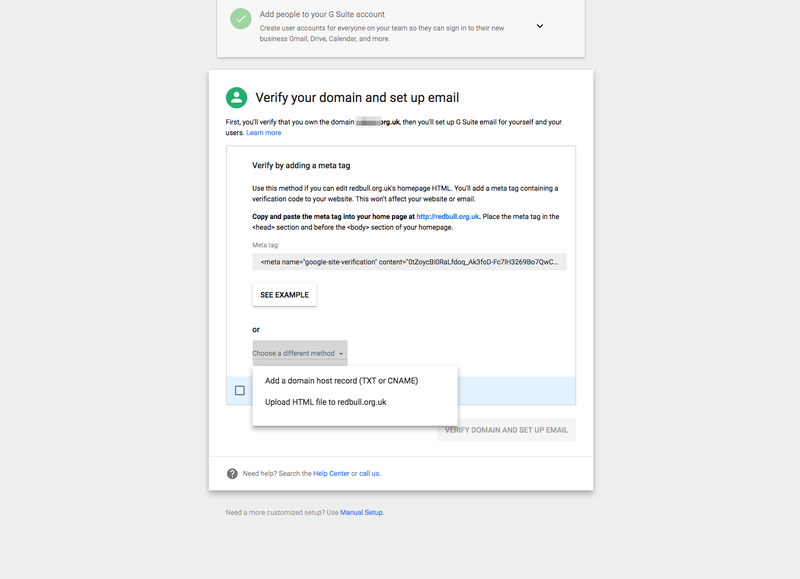 You'll now be able to go back to Google and verify that you've done so. Congratulations, you've set up G Suite email with your domain! Easily reduce call abandonment rates and control the flow of calls to your team when you use call queuing with our cloud-based VoIP phone system.